The place Ladakh is the most beautiful part of the country India. The tourists from all over the world visit this place to enjoy the beauty of nature. It is the major spot for the tourists. There are many beautiful and high altitude passes, highly cold deserts, high altitude mountains, lakes, and many other things. One of the major things that make this place more beautiful is the lakes. Ladakh is a home for many lakes. These types of the lake can hardly found in any other part of the country. There are many lakes including Pangong Tso, Tso Moriri, Tso Kar, Mirpal Tso, Chagar Tso, Kyun and Ryul Tso, Kaigar Tso, Stat and Lang Tso and many others as well. Here is one another lake that is missing on this list which is Nyak Tso. The Nyak Tso is a very beautiful and attractive lake. It is situated in Tibet, China. This lake is just 30 km away from one of the closest town of Ladakh named as Rudog. 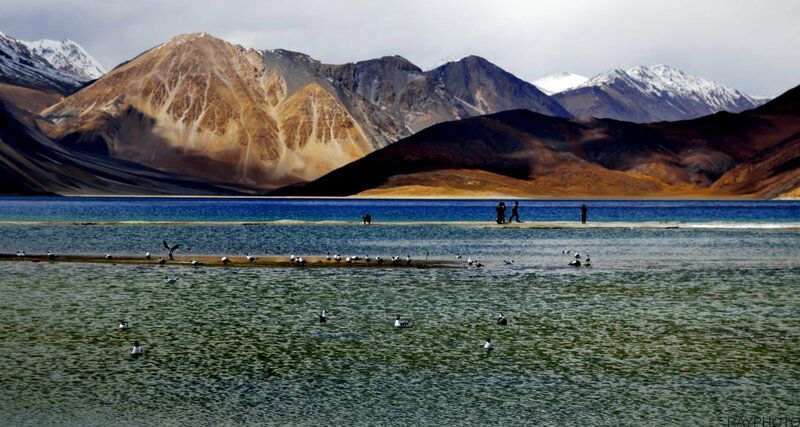 It is the best lake for the tourists to visit while traveling to Ladakh. There is one another lake adjacent to this lake named as Rum Tso. You can reach this lake by taxi, bike or by car. The lake is easily accessible through motorable road from Ladakh. The tourists can also take flight for the Leh from Delhi and then hire any taxi or bike. The best time to visit this Lake is from May to October. The roads are open and you can also use the nearby facilities. In the case of rest months, the roads are closed due to heavy snowfall.